Sadly: the funeral of Charles (Chas) Brazier has already taken place. The lovely man has lived in Broad Oak for a long time and will be missed so much by his family and friends. Please think of them and add them to your prayers. Burglaries: Residents of Reeds wood estate in Broad Oak and have concerns with the amount of burglaries on the estate, with no police presence. I have been asked is there a Neighbourhood Watch Scheme in the Parish. I know there used to be one but I am not sure now. The residents of the estate have decided to put up some notices in some areas to make people aware. It has also come to my notice that a farm building was broken into and machinery was taken, however, not far, as the thieves decided to go across farmland and became stuck. Also in Brede Lane a house was burgled, access was gained by smashing a lower glass door panel. Please, if you are aware of people lurking about or acting suspiciously contact the police. Cold weather is coming: It is important to keep warm, keep a blanket handy,have spare batteries and light bulbs, a good torch. Have a good store cupboard with good warming soup and a freezer with suitable dinners if you are elderly. Please look in the Parish Newsletter on the back cover look for the Councillor who lives nearest to you and make a note of their details as they will do what they can to help. I do not think I need to say this, but neighbours look after one another. I hope everyone: has had a chance to note down the information about the Lloyds Bank Bus as this is the last time I will publicise it. The Lloyds Bank, mobile bus will be in Rye Market Car Park. 10am – 11.30am Fridays and 10am – 11.45 opening again at 12.30pm – 2.45pm on Wednesdays. Friday 23 November: Brede Farmers Market in Brede Village Hall from 10am – 12noon. Christmas is coming, see if you can find that special present for some one. The Village Hall is being decorated for Christmas this afternoon by volunteers. Brede Short Mat Bowls are at 7.30pm in Brede Village Hall. At the Trinity Methodist Church Mrs Drina Hampson will be taking the service at this morning’s worship at 10.30am The Reverend Peggy Heim is the Pastoral Minister and can be contacted on 01424 422350 The seat at the back of the Church is there for all to use, they would be delighted to see you sit in the tranquil wildlife garden and admire the view. At St George’s Church, a sung Family Eucharist will be held at 9.30am. Father Martin can be reached on 01424 883408. The Church’s Website is http:/www.stgeorgesbrede.org.uk other services held during the week is in the Church Parish Magazine that is out now for November as is the Parish Council Newsletter. Monday 26 November: Pilates with Susan is at 9.15am in Udimore Community Hall and she can be contacted on 07858 518504 followed by the Wea Gardening course at 11.30am. Pilates with Susan at 6.30pm in Udimore Community Hall followed by an Exercise Class at 7.30pm. Rother District Council would like to make you aware that there are all-out District Council elections next year, based on the new ward boundaries which come into effect in May 2019 (the details of which can be seen at the following link: http://www.lgbce.org.uk/all-reviews/south-east/east-sussex/rother). The Council is holding a pre-election event at which people who are interested in standing for election can find out more about how they could represent their community. The event is being held at the Town Hall, Bexhill from 6.30 to 8.30pm, and will offer people the chance to speak to current serving councillors and senior officers. They will also be able to find out more about the varied services the council provides, the challenges it faces in the years ahead and the support councillors receive. People interested in attending the event were asked to register their interest by mailing democraticservices@rother.gov.uk by Wednesday 14 November. Tuesday 27 November: Pilates with Susan at 9.15am in Udimore Community Hall. Brede Luncheon Club will be having their Christmas dinner today, they meet at 12 noon in Brede Village Hall. I am sure they will all have an excellent time. Pilates is at 6.45pm in Udimore Community Hall. Dog Relax classes at 6pm in Brede Village Hall. 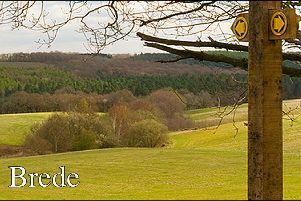 Brede Parish Council meet at 7.30pm in the small room of Brede Village Hall. Members of the public are welcome to go and listen and have their say. Wednesday 28 November: Dog Training at 6pm then the Keep Fit Exercise Class at 8pm. Thursday 29 November: Pilates in Udimore Community Hall at 9.15 am Stretch And Tone with Sally at 9.30am in Brede Village Hall. All Christmas Trees need to be finished and up today. Care for the Carers are running a monthly Carers Information and Advice Group which will meet today and subsequent 4th Thursdays of the month, 10am – 12pm at St Mary’s Centre, Lion Street, Rye TN31 7LB, they are looking forward to seeing some new faces there from the Brede and local Rye areas. St George’s Christmas Tree Festival: continues Saturday 1 December 10am – 4pm and Sunday 2 December 11am finishing at 3pm with the Christingle service. On all days there will be a raffle and Christmas related stalls. Thursday 6 December: The Cranbrook town Band’s Christmas Concert is in St George’s Church at 7.30pm money raised will go to the refurbishment of the Beacon the Poppy Appeal and to St George’s It will be £6 for adults including a glass of wine and a mince pie and £1 for Children including squash and cake, under 4years free, money taken on the door. There will be a raffle too. A wonderful evening to continue enjoying your Christmas time Celebrations..